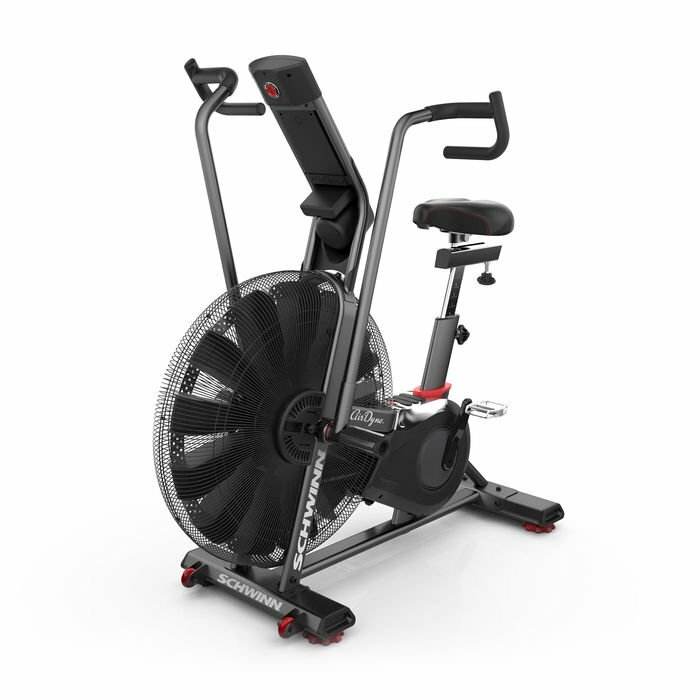 The Schwinn Fitness Airdyne® commercial grade upright exercise fan bike with dual action moving arms is simply smart. Wind resistance is exponential, so the harder you pedal, the higher the resistance becomes. 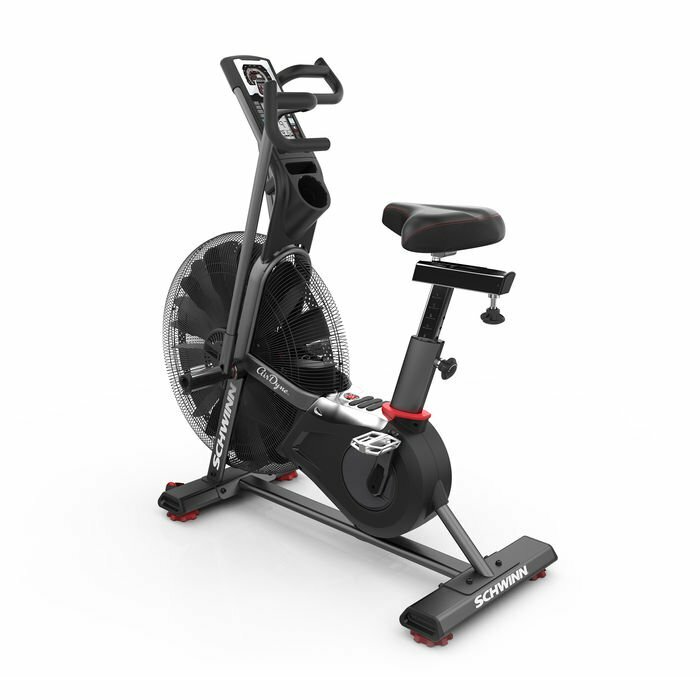 The Schwinn console is designed to show key data all at once, and it has a unique RevMeter™ RPM gauge that's perfect for interval training. 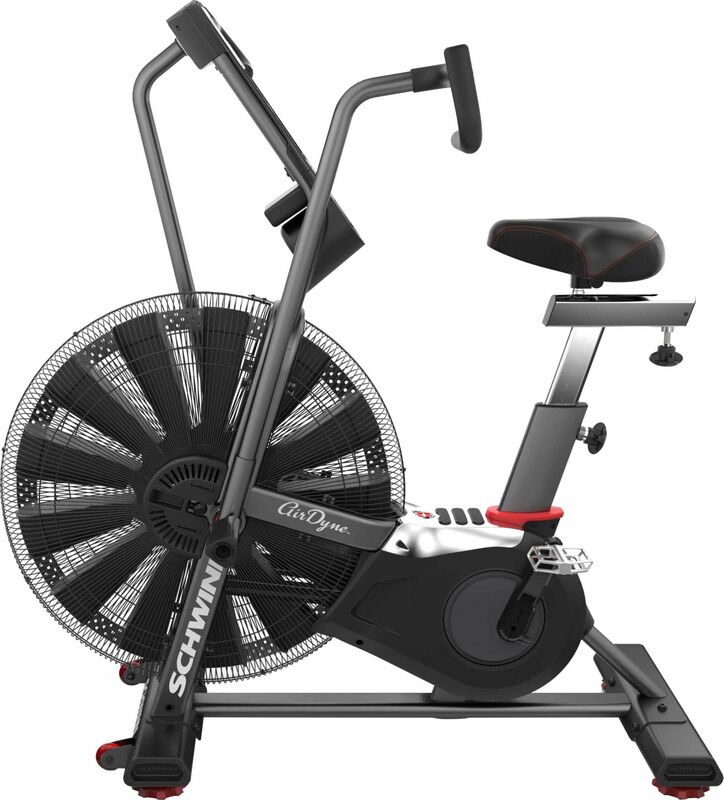 The Schwinn® AD7 Airdyne® Bike is a must-have cardio machine for any home gym. Single-stage direct drive system for efficient power transfer, low maintenance, and infinite levels of challenge. Telemetric Heart Rate Technology to measure heart rate in real time. Corrosion resistant powder coated steel constructionfor longer life for the frame. Multi-position hand grips offer a variety of workout options. Multi-display LCD console with Calories, Watts, Time, Distance, Speed, RPM, and Heart Rate readouts .